Chelsea, MA (June 26, 2018) – A two car crash occurred in Chelsea, Massachusetts on Tuesday morning, leaving at least one of the victims injured. The crash happened just prior to 6:00 am on Revere Beach Parkway, just before Union Street. That is where police report that two vehicles traveling on Route 16 collided with one another. The cause of the collision remains unknown at this time. 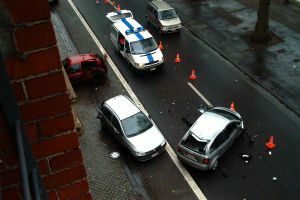 Police responded to the scene, which had major traffic delays because of the crash. There, they determined that at least one of the individuals involved in the crash had suffered injuries. Medical treatment was requested and given at the scene. We do not have current word on the condition of those injured but will bring it to you if any further updates are provided by police. This crash remains active and under police investigation at this time.